Alzheimer’s disease is a leading cause of dementia and the most common neurodegenerative disease worldwide. It is thought that chronic, low-level inflammation plays a major role in its development. Therefore, anything that can combat chronic inflammation is of potential importance in treatment or prevention. Unfortunately, no proven medical treatment exists for Alzheimer’s at this stage. 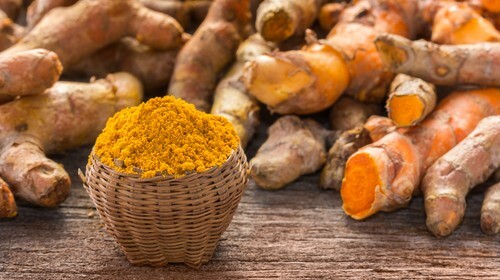 There have been a lot of alternative therapies proposed for Alzheimer’s, but Turmeric is easily the standout. This spice is gaining traction not only in the naturopathic community but the conventional medical community as well. More specifically, it’s the curcumin in turmeric that carries the health properties. It acts as a powerful anti-inflammatory, even matching the effectiveness of some anti-inflammatory drugs (1). The reason it stands out in dementia treatment is because curcumin has been shown to cross the blood-brain barrier (2). One major feature of Alzheimer’s is the buildup of protein tangles called Amyloid plaques. Early research has shown curcumin can help to clear these plaques (3). Of course we need human trials to say how well it works for sure, but it is promising. Curcumin can be consumed as turmeric (typically a powder) or as a curcumin supplement. If it is for a specific health condition, such as Alzheimer’s, then supplement form is recommended as the dose is much more pronounced. Think about these therapeutic agents (such as curcumin or fish oil) as a ‘fire-extinguisher’. The size of the of extinguisher (curcumin in this case) needs to match the size of the fire (inflammation). So if you’re a bush fire, then more is needed. It is also crucial that you consume curcumin alongside piperine (black pepper). This substance enhances absorption of curcumin by 2000%, and without it most of the curcumin will pass through you unabsorbed (4). Oral supplementation of curcumin should be in the range of 400-500mg, assuming it is taken with piperine. Of course the dose varies according to each individual. If you have or know someone with neurodegenrative problems, we can help by taking a functional neurology approach- a complementary non-drug approach towards management (that’s not to say drugs don’t have their place too).